In a new and potentially field-changing study, SMU historian Azfar Moin explores why Muslim sovereigns in the early modern era began to imitate the exalted nature of Sufi saints. Uncovering a startling but widespread phenomenon, Moin shows how the charismatic pull of sainthood (wilayat) — rather than the draw of religious law (sharia) or holy war (jihad) —inspired a new style of sovereignty in Islam. Moin’s research is published in his new book, The Millennial Sovereign (Columbia University Press, 2012). At the end of the 16th century and the turn of the first Islamic millennium, the powerful Mughal emperor Akbar declared himself the most sacred being on earth. The holiest of all saints and above the distinctions of religion, he styled himself as the messiah reborn. Yet the Mughal emperor was not alone in doing so. 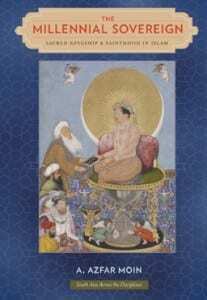 The title of the book reflects the Mughal emperors’ messianic and Sufi beliefs, which also led these Muslim rulers to explore European Christianity, says Moin, an expert on the history of South Asia who teaches in the Clements Department of History of SMU’s Dedman College of Humanities and Sciences. “The Mughal emperors of 16th- and 17th-century India — of Taj Mahal fame — were also avid collectors of Christian art. They even invited Jesuit missionaries to discuss the Bible. At first the Catholic priests were delighted that such powerful Muslim kings were attracted to Christianity, but they eventually realized that their hosts were more interested in the millennium,” Moin says.